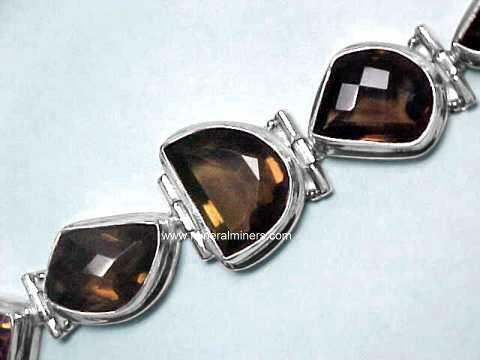 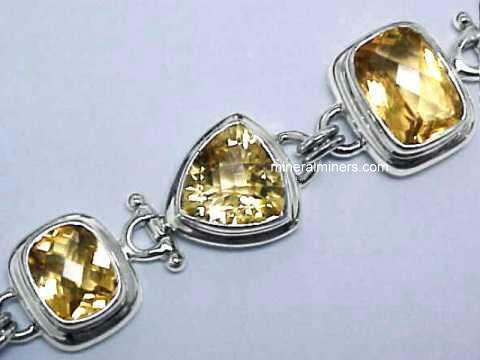 Try our Genuine Tourmaline Bracelet Satisfaction Guarantee - compare our prices and our superior quality. 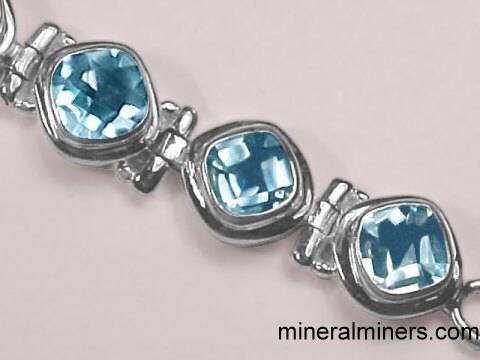 This superior quality faceted tourmaline bracelet was handcrafted in sterling silver and set with beautiful gems of natural color lightly included tourmaline in wonderful shades of blue, green and pink! 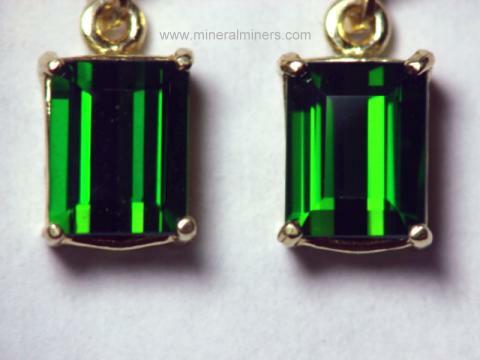 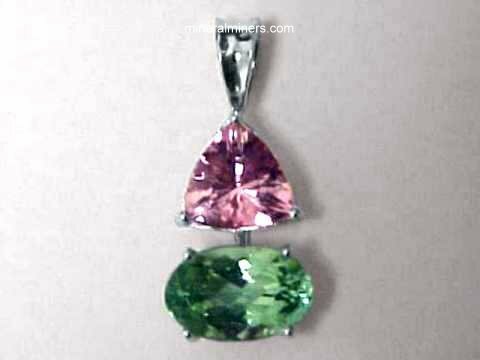 These are all 100% natural color unheated and untreated tourmaline gems. 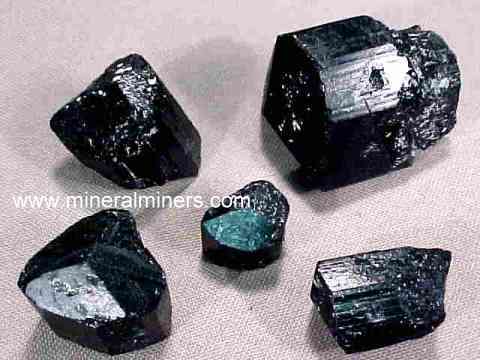 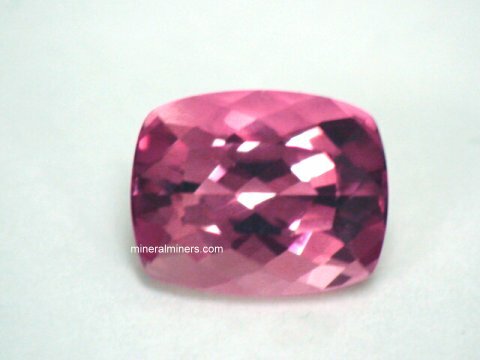 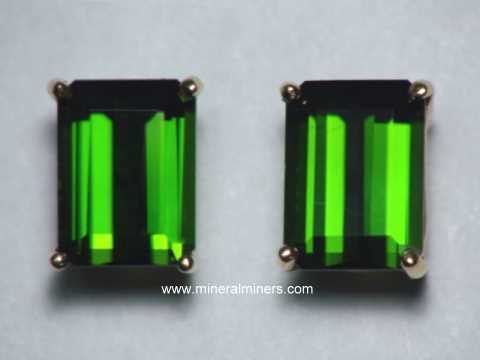 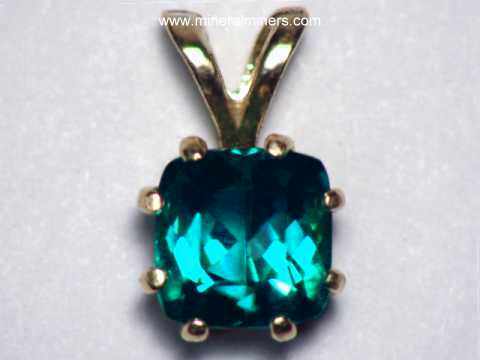 The largest of these faceted tourmaline gems is a 12x8mm cushion cut with beautiful deep blue color! 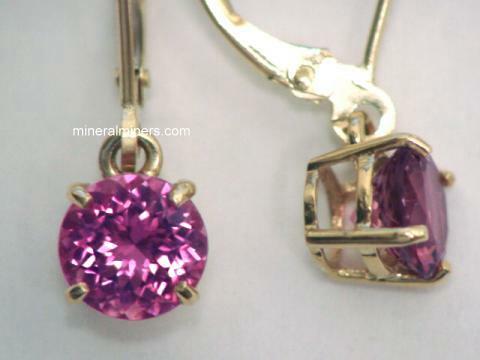 The photo at left shows a close-up view. 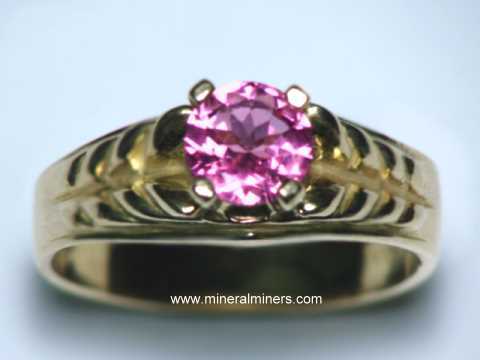 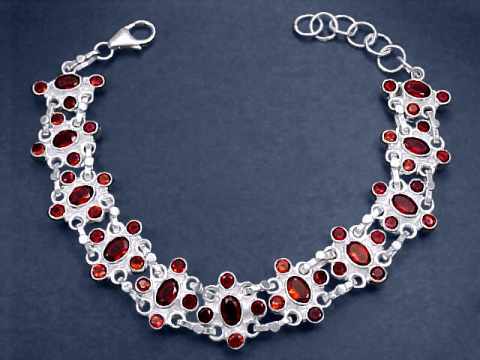 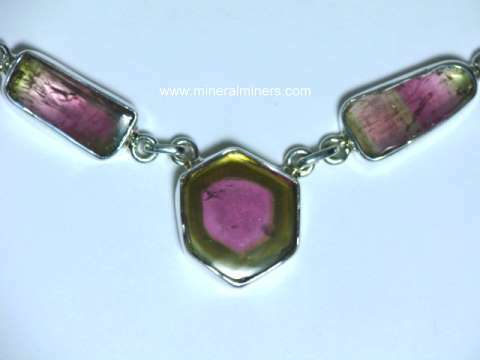 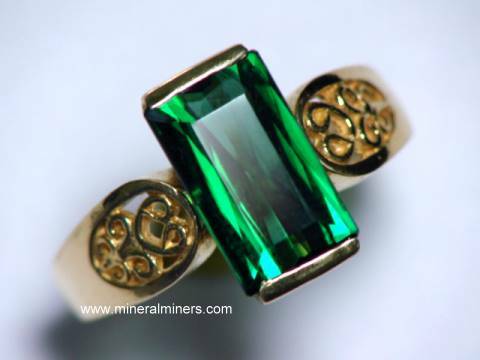 See also a full view photo of this natural tourmaline jewelry design. 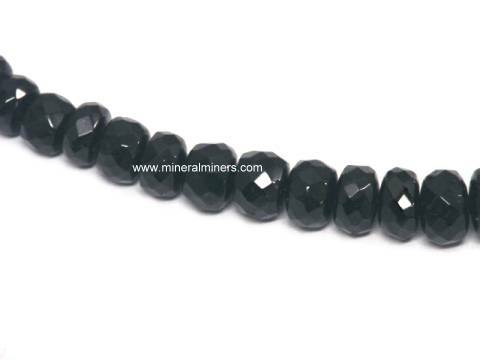 Our Tourmaline Bracelets are all 100% Natural Tourmaline Bracelets! 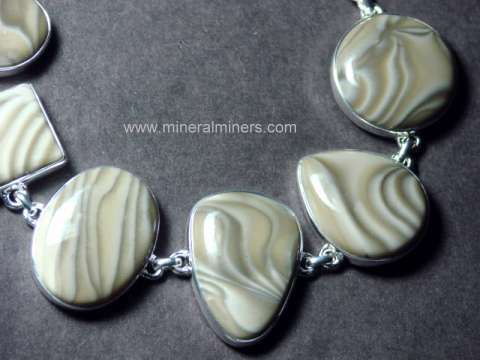 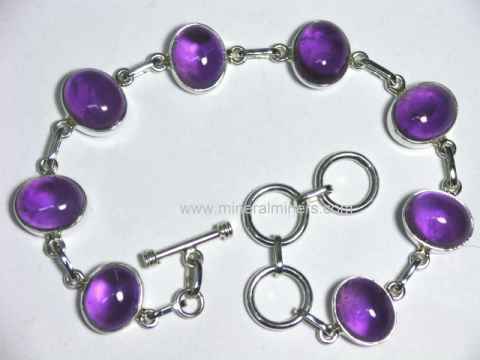 See also our webpage displaying all of our natural Gemstone Bead Bracelets, and our Round Gemstone Bead Necklaces. 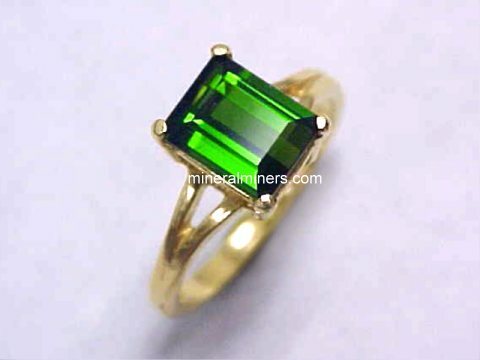 See also the rest of our natural tourmaline jewelry designs set with genuine tourmaline gemstones. 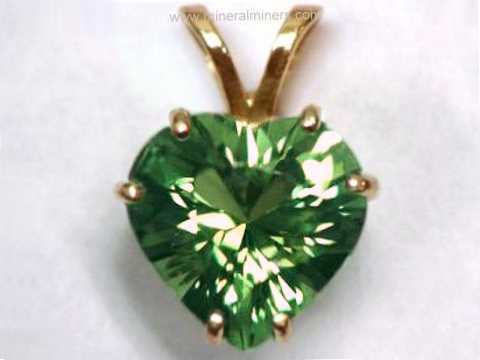 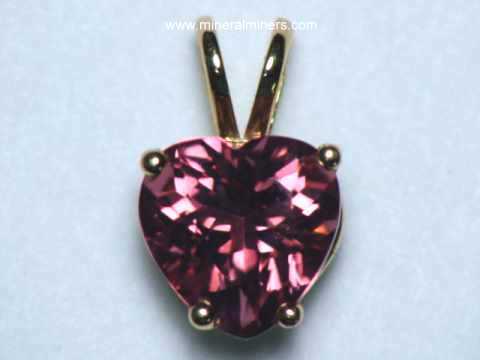 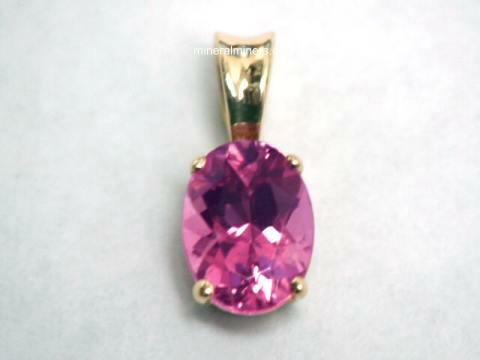 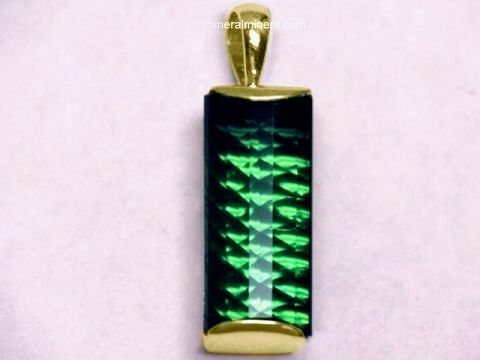 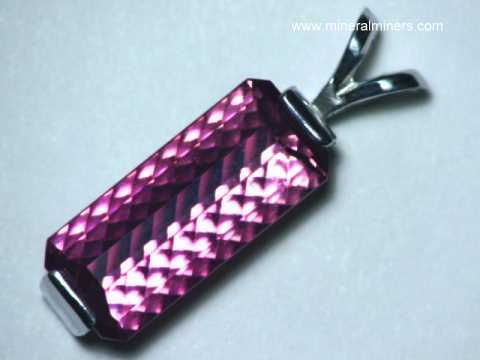 To see more tourmaline photos, just select another item category (such as Tourmaline Crystals, Tourmaline Necklaces, Tourmaline Gems, or Tourmaline Jewelry) from the linked images shown below. 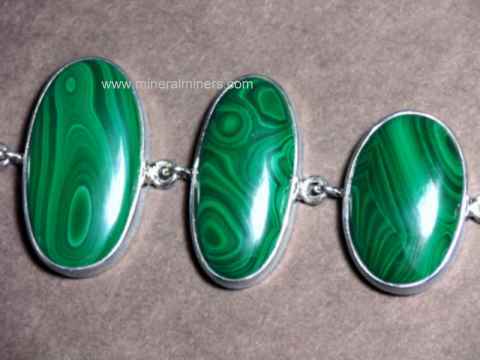 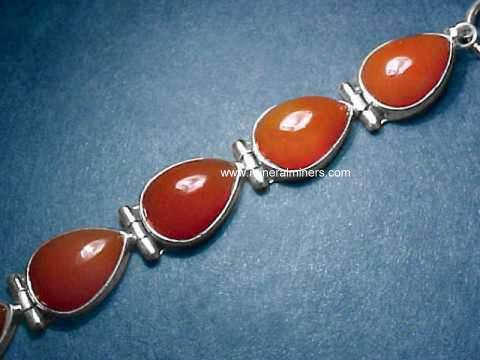 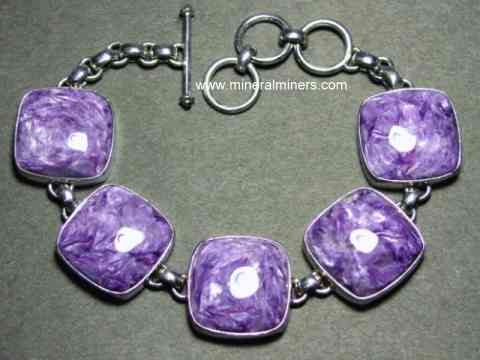 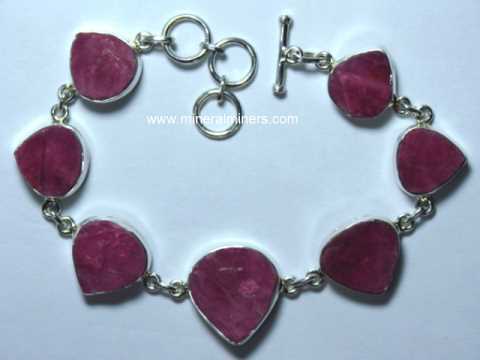 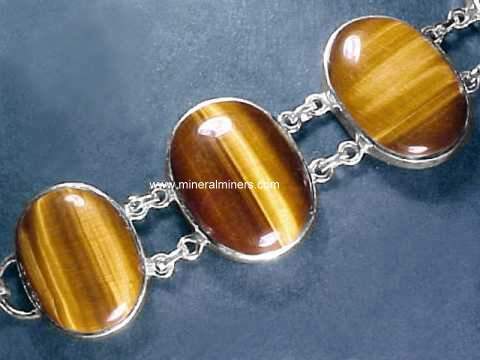 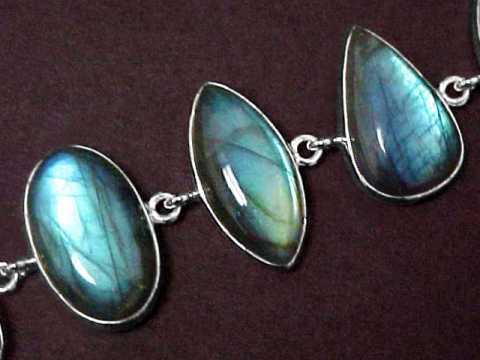 We have many other kinds of natural gemstone bracelets available. 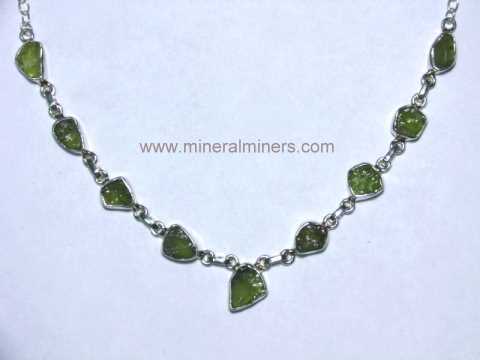 Tourmaline bracelets and other tourmaline jewelry designs are traditional October birthstone gifts for birthdays in the month of October. 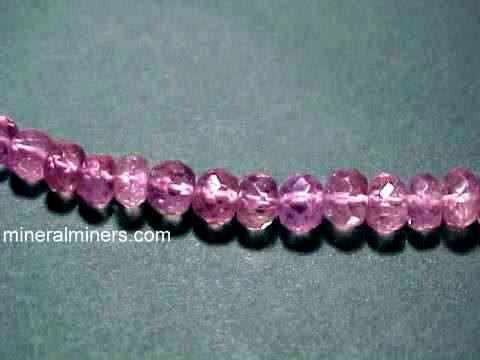 Each of our tourmaline bracelets has all natural color untreated tourmaline gems that were mined in either Brazil, Africa, or Madagascar. 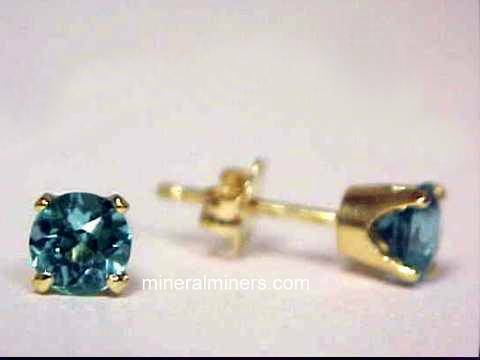 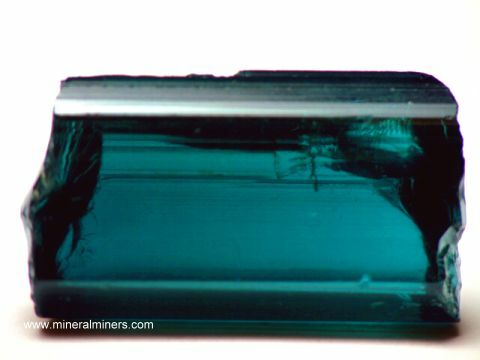 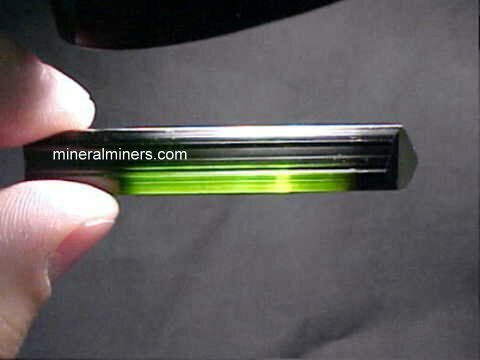 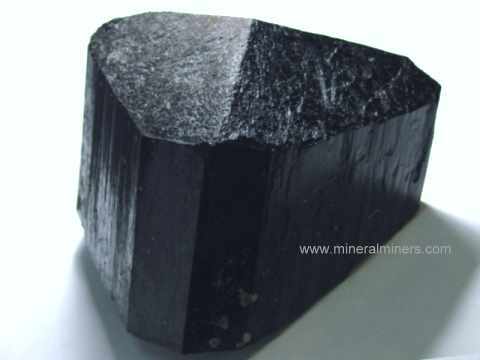 Here at mineralminers.com, we do not have any lab-created tourmalines, and we do not have any diffusion treated tourmalines! 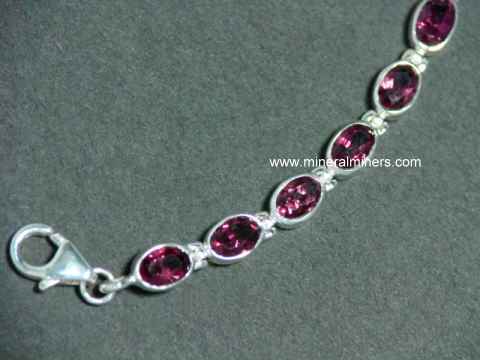 We specialize in genuine natural color tourmaline bracelets. 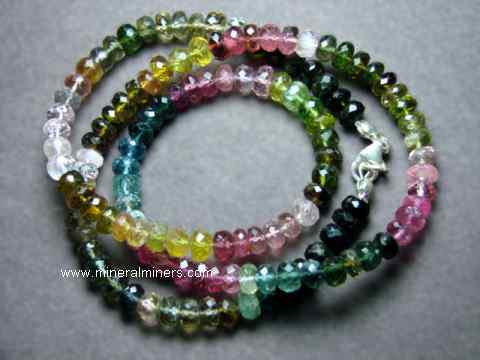 We have natural tourmaline bracelets available in many beautiful shades and combinations of light to dark, with all naturally occuring tourmaline colors in hues of green, pink, and blue. 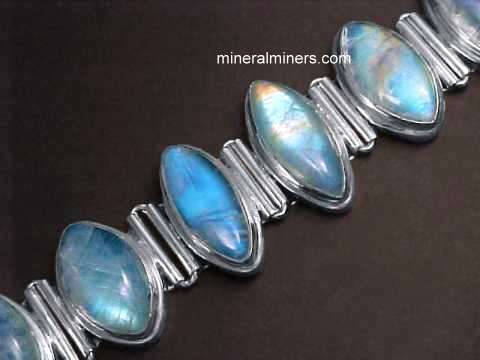 We have genuine gemstone bracelets available in several other natural materials including genuine amethyst bracelets, genuine aquamarine bracelets, beautiful citrine bracelets and many different natural genuine agate bracelet varieties, and fine peridot bracelets in several different styles. 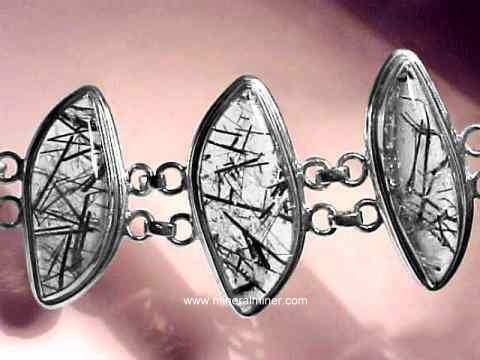 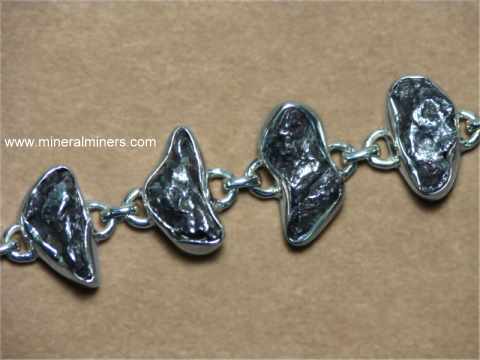 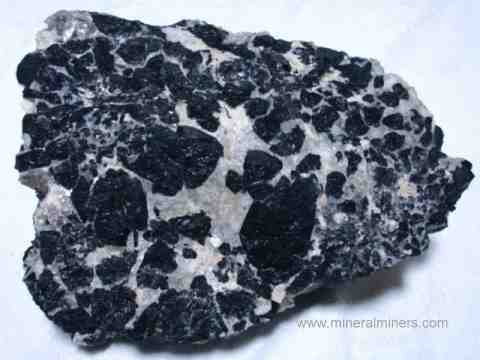 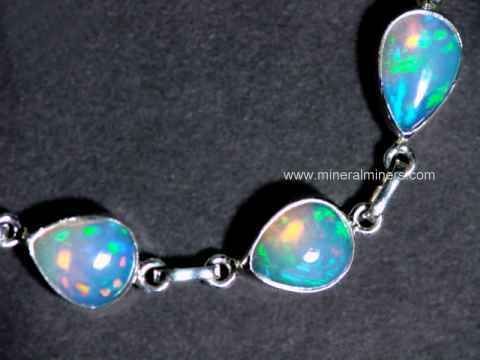 See our selection of genuine meteorite bracelets! 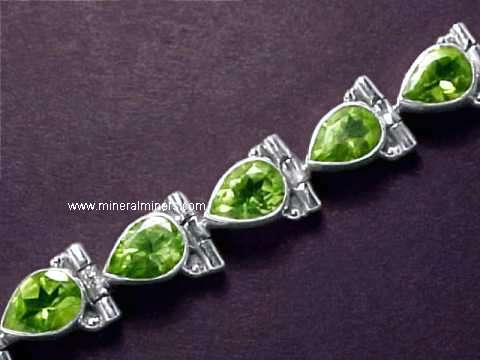 We have a large selection of sizes available in natural moldavite bracelets. 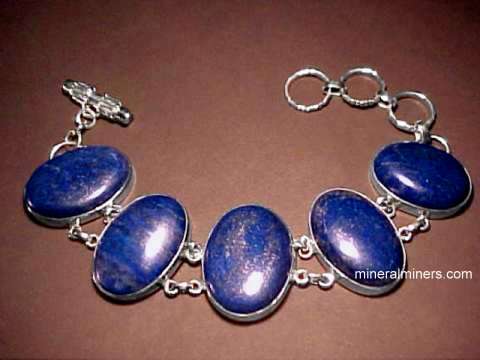 Be sure to see our genuine moonstone bracelets & jasper bracelets, and natural color lapis lazuli bracelets! 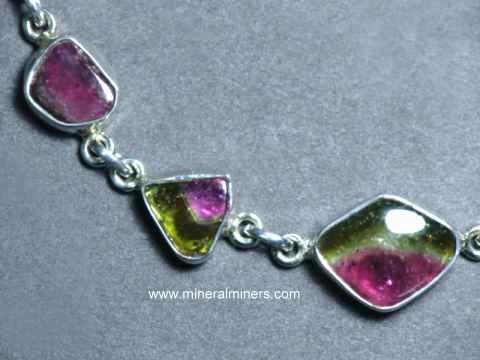 Would you like us to inform you when we add on this page more natural color tourmaline bracelets with pink green and blue tourmaline beads? 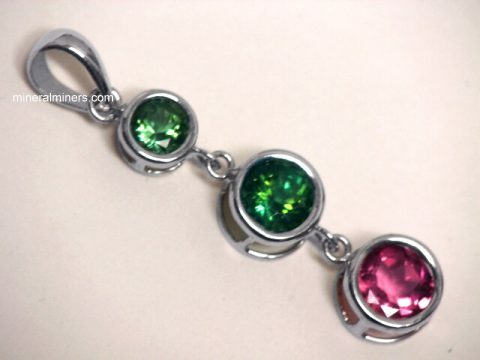 We do have additional inventory of natural color tourmaline bracelets in stock, so be sure to let us know if you have any tourmaline bead bracelet special requests.